You are currently browsing the tag archive for the ‘Lorraine Cormack’ tag. 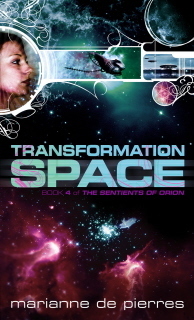 Transformation Space is the fourth in a series, following Dark Space, Chaos Space and Mirror Space. De Pierres has created a complex and layered world, and as such some elements will be a little difficult for new readers to follow. 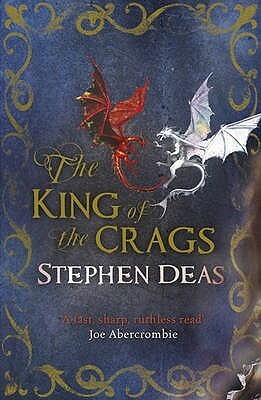 However, I’ve read only the first of the series and was able to follow a substantial part of the plot without trouble; this suggests that the setting and worldbuilding may be the biggest challenge for new readers to get their heads around. Despite the gaps in my knowledge of the plot, overall this novel – and probably the series – is rewarding. The world is convincing and interesting; the plot complex but easy to follow; and the bulk of the characters are interesting (although not all of them are sympathetic). It is not clear whether this is the final in the series; it could be read that way, but there are enough slightly loose ends that I would not be surprised if there was one more volume to follow. 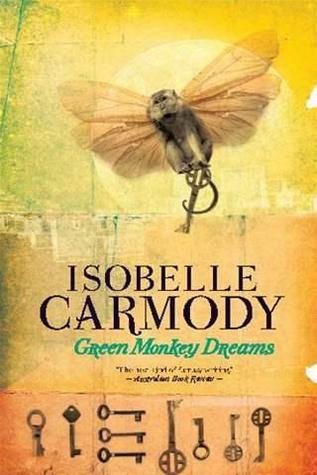 I had not read any of Isobelle Carmody’s short fiction before, although I was familiar with and had enjoyed a number of her novels. Good novelists are not always good short story writers (and vice versa), and it was with pleasure that I discovered that Carmody is as capable and assured in this medium as in the longer form. Like many collections of short stories, I found Green Monkey Dreams best read one or two stories at a time, dipped into over a fortnight or so. The writing style was easy to devour and I could have read the collection far faster; but the majority of the stories deserve time to settle, a little time for consideration, before you move onto the next. Lorraine Cormack is a judge for the Aurealis Awards. 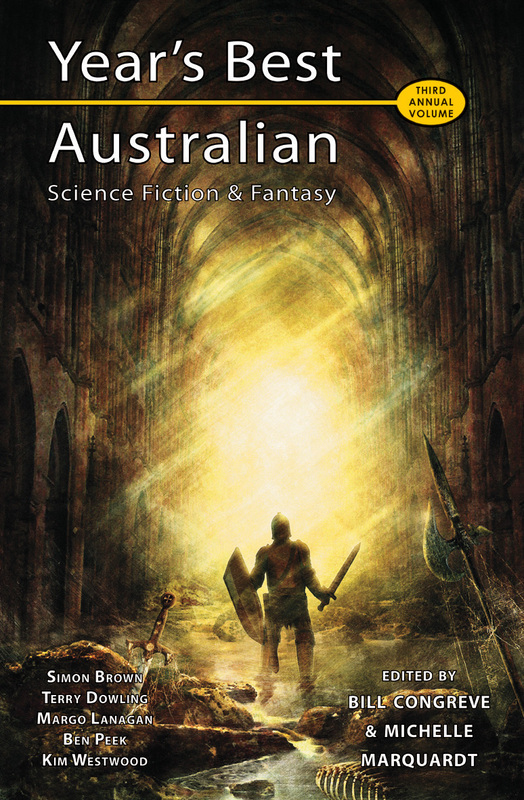 This review is the personal opinion of the writer, and does not necessarily reflect the opinion of any judging panel, the judging coordinator or the Aurealis Awards management team. 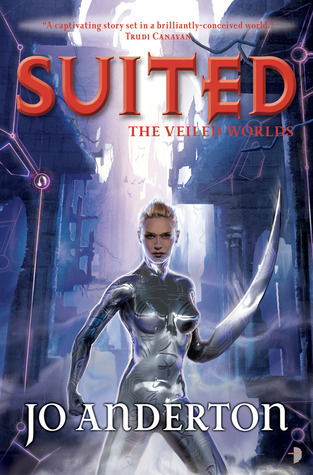 Suited is the second in a trilogy, the sequel to last year’s Debris. It continues a strong story and good character development, as well as significantly expanding our understanding of the world in which it is set. 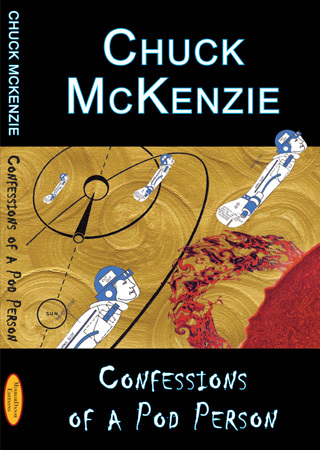 It’s a strong novel; like its predecessor, it is something of a cross-genre novel, although Suited skews more towards science fiction than the first novel did. Unsurprisingly, it has most to offer people who have read the first novel, but many readers new to the series will also enjoy Suited. In Debris, Tanyana fell from her privileged position as a talented and strong pion builder. Well respected and financially well rewarded, she had a comfortable life with access to the higher echelons of society in Movoc. When a dreadful accident robs her of all this, she discovers undercurrents to her society she had previously been unaware of. Specifically, she discovers that not everyone can see pions, the elements of matter that everyone manipulates without a second thought every day. Except not everyone can; some people can’t see pions and thus can’t use them; they can see only the waste they leave behind. And although these people are vital – if debris collectors don’t do their job, the unseen debris builds up and causes all kinds of malfunctions – they are nevertheless despised. Scorned by society, paid barely enough to live on, treated as little more than slave labour. And now Tanyana is one of them. 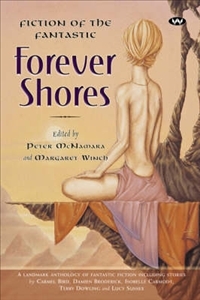 Forever Shores is an outstanding collection of 17 Australian short stories. 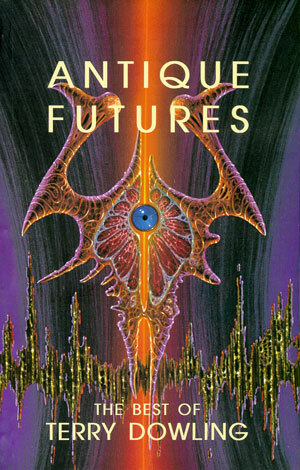 The editors have specifically sought to anthologise fantasy stories. While there is always room for argument about the line between fantasy, science fiction, and other “genres”, I think that in this case most readers would agree that all these stories are closer to fantasy than science fiction. 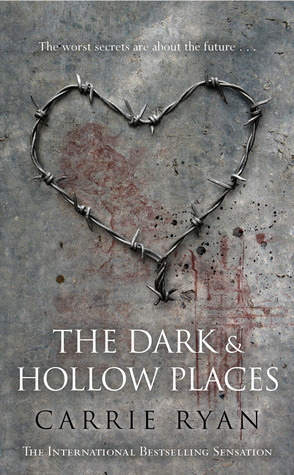 I thoroughly enjoyed this collection, and struggled with this review simply because the quality of each story was so high that it made it difficult to settle on which to single out for comment. As a collection, this also works; although the stories are linked through their fantasy theme, they are nevertheless a diverse selection. There’s a connection that makes the anthology a satisfying whole, but doesn’t produce the same-ness that can arise from a theme that is too tight. There’s variety in the length, as well. 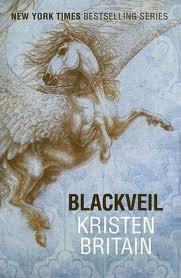 In the end I was satisfied not only by each individual story, but by the collection as a whole.